When do I have to show my hand? - Casino Answers! 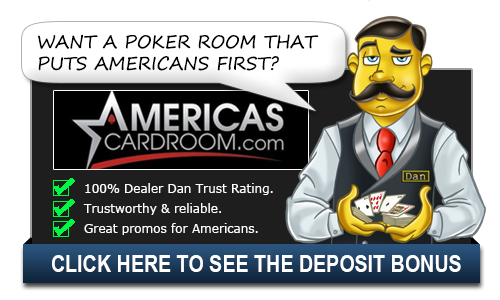 Casino Answers » Poker » Online Poker Beginner Q&A » When do I have to show my hand? It is a common strategy to hide your cards unless forced to, this can protect your bluffing strategy from the other players at the table. The opposite is also true, if you win a big hand with a bluff you could show your hand to upset your opponents and get them off their game. So the question comes up, when do you have to show your hand? After going all in and all bets are complete (usually head up) both hands are flipped. There is a rule that allows any player that was dealt in ask to see any hand that was called, this is a rule that has some contraversy surrounding it as it was developed to protect players against collusion but rarely is effective. In Texas Hold’em If there are players at the table that don’t fold you must show your hole cards to claim the pot. If everyone checks (or is all-in) on the final betting round, the player who acted first is the first to show the hand. If there is wagering on the final betting round, the last player to take aggressive action by a bet or raise is the first to show the hand. Any player involved in the side pot would show their hands before anyone who is all-in for only the main pot. It is important to protect your cards at all times and to ensure that any time you fold or muck your hand that your cards remain face down. This can result in penalties as set out by tournament or house rules. Player Joe bets on the final card in Texas holdem and gets called by Mike. Joe shows a full house and Mike says he can’t beat Joe. Joe is declared the winner. Is Mike required to show his hand? Mike isn’t “required” to show his hand unless requested. Joe can request that Mike show his hand and Mike has to. However there are shades of gray here. Card rooms have started changing their policies so that Joe can only request to see Mikes hand if he believes there is collusion present. It is generally considered bad etiquette to request to see someones mucked hand. After a hand where everyone but the winner folded, the winner decided to show one card of his hand. I know that in this case, he is not required to show any cards. But if he shows one card – does he have to show both? I’m basing this question on the knowledge that at recent big tournaments this has been the ruling. It depends 100% on the casino or tournament rules. You’ll see a lot on television that a player will show just one card as a tease at the end – however as I said, the rules are different depending on the casino or the tournament. So as you see in the WSOP, if a player requests it then they must show. It really depends on the casino or tournament you are participating in however.